Season Solves vrs Generic Accounting Packages. 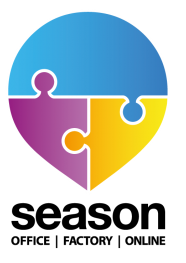 Season has the solution by having One system complete all your processes. As well as accounting ledgers, Season can manage all of your processes including stock control, traceability, pricing, labelling and much more. ✓Smart receipt allocation will reduce your processing times dramatically. Season was designed specifically for the Food Industry with 26 years of experience and has evolved through feedback from sites in the sector. Work with quantities, weights or both. ✓Set values based on weight or quantity. Product Specifications & Prep Notes. ✓Submit product specs or prep notes. Ensures your customers get exactly what they ordered helping to reduce credits. Season lets you communicate in real time with your Factory floor. Orders are ready for picking/processing as soon as they are submitted in the office, stock figures are live as product is being processed or sold etc. Works with or without scales. We have a reputation for implementing on existing equipment saving on further investment. We give you the choice- Link to an external accounts package available reducing initial investment costs. Example of a feature designed specifically for a sector – Prime Portion control will calculate exactly how many cuts are available from whole fish. Key Benefits for Accounting in Season One System – All your processes designed specifically for the UK and Irish Food Industries. Work with weights, quantities or both. Your choice! The season financial ledgers are optional modules which you can add or remove at any time.